Lynn is a remarkable woman who has been a patient of Dr. Ross Wilkins for nearly 20 years! 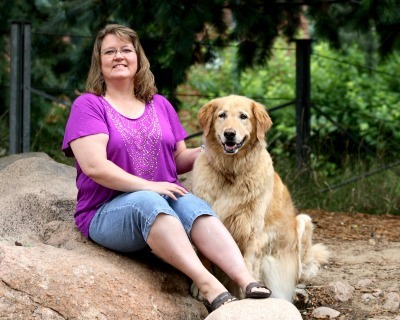 Initially diagnosed with osteosarcoma in her left femur, Lynn underwent a complex limb procedure with a donor femur transplant and fibular reconstruction. To her surprise, the Institute for Limb Preservation graciously paid for her first surgery in hopes of supporting Lynn and her family after her unexpected diagnosis. To this day, Lynn recalls the kind words that Dr. Wilkins offered her after the decision for surgery was made: “Worry about you first, money later”. The operation saved Lynn’s leg and has allowed her to live a full and productive, cancer free life. She is currently enrolled at Metro State University of Denver and is earning her Bachelor’s degree in behavioral science with a business minor. Her passion for learning is matched by her determination and ability to adapt. Between the commitments of being a student and mother, Lynn enjoys spending her free-time either with her family or curling up with a good book. Glowing with optimism, Lynn takes life one day at a time in her outstanding remission. Maximus is a handsome 12-year old Golden Retriever! His easy going nature hasn’t changed after receiving stereotactic radiation therapy, chemotherapy and carboplatin. An independent soul, Maximus enjoys his long walks, swimming adventures, and cuddle time following his weekly bath.